Spending time away from home can be nice. After a week of living with no living room or dinning room, it was a welcome relief to put the house back together on Friday and head away from the ever mounting dust to the fresh countryside air. Getting away from it all really is the best way to relax. 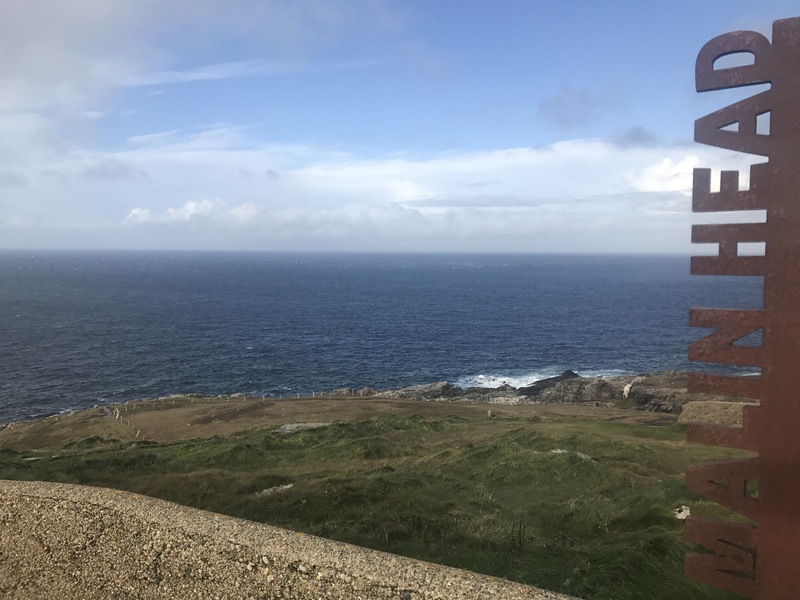 Last year Chris and I headed to Malin in Donegal for a weekend away with our friends and their children, we enjoyed it so much last year we had to do it again this year. 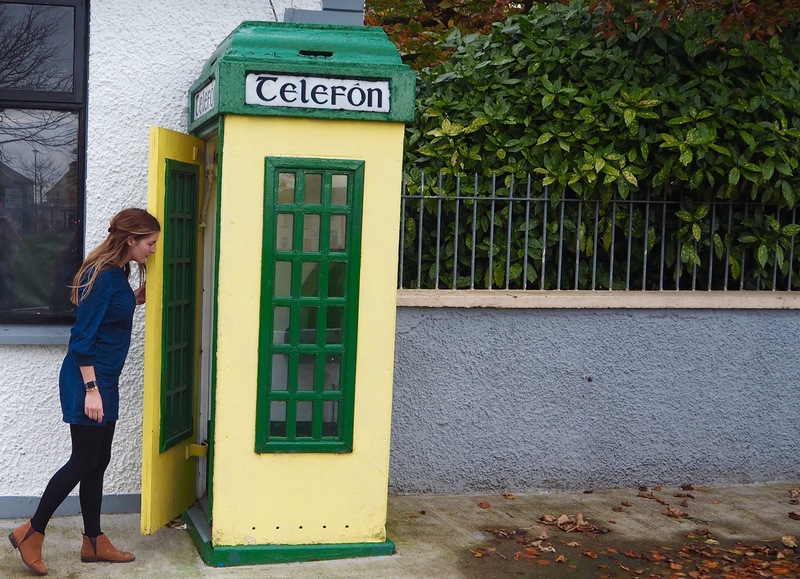 I have to say I was really looking forward to the break, feeling completely remote. Chris luckily had the day off on Friday so he packed the car, did a shop to bring up some food and then came to collect me from work so we were straight on the road. From Belfast, Malin is quiet far and the house we were staying in doesn’t allow dogs, so Piper heading to mums for a holiday, treated like a princess no doubt. We arrived to the house at 8pm, the kids headed to bed, time for a glass of wine and dinner, it’s the weekend so lets unwind. The house we stay in has more than enough room for 6 adults and 5 kids, with everything you could need, including a hot tub. After a long week, a dip in the hot tub is perfect. The run into the hot tub on a cold October night really is bracing, no more so than when you have to get out and dry off. Luckily there is an aga in the house (the dream) so once your back in the house, its nice to warm up by the aga before heading to bed. Saturday morning, Chris and I lay in, no help to our friends who were up with their kids. You can tell neither Chris or I are parents, we didn’t even wake up to the sound of the kids in the morning, we were in a deep sleep. After a good nights sleep it was time to brace the great outdoors. Driving through country roads where you barely meet another car and there is no traffic lights, parking is at the side of the street, free from traffic wardens and an jams are from meeting a tractor on a windy road. It’s refreshing. We made our way to Genevan Waterfall for a walk but unfortunately due to the adverse weather we have been having recently it was closed as bridges have been destroyed and the trail isn’t safe. Thankfully the guys found that out before we all started to trek up. 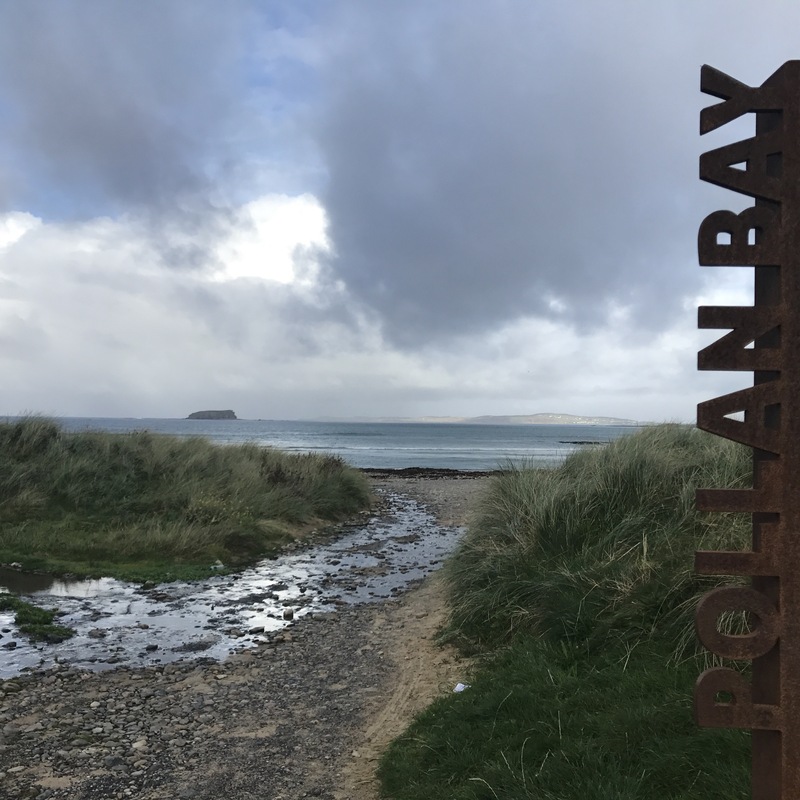 We then made our way to Pollan Bay for a walk on the beach, it was brisk, but I loved seeing our friends kids play in the sand, despite the fact I was standing around freezing, running around playing with kids sure does get the temperature up. Then time to head back to the house for a leisurely lunch. After lunch we drove to Malin Head for a walk, the most northernly point in Ireland, now here was where you really needed your coat, the winds were so strong. It was amazing to go for a walk along the edge of the island, at the point where lots of families said good bye to their relatives as they made there way to the US, somewhere I have been back and forth to lots, this was the last time these people seen the Emerald Isle. 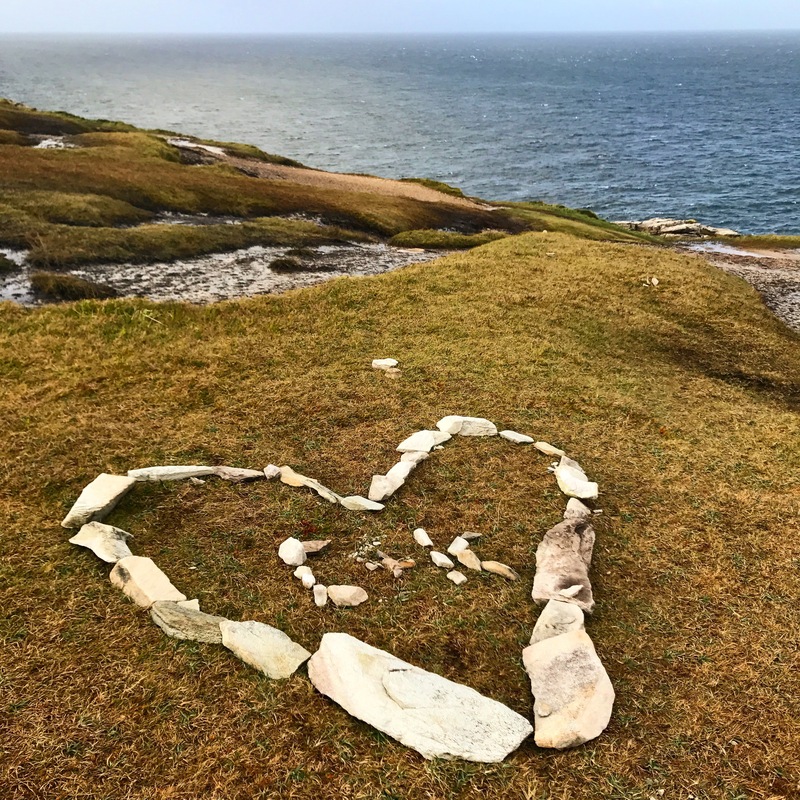 On our way back, we spotted a heart made of stone with C&K, no no, don’t get carried away, Chris isn’t some kind of romantic, nor would I want him to be, but some other couple must have made it when we were on our walk! 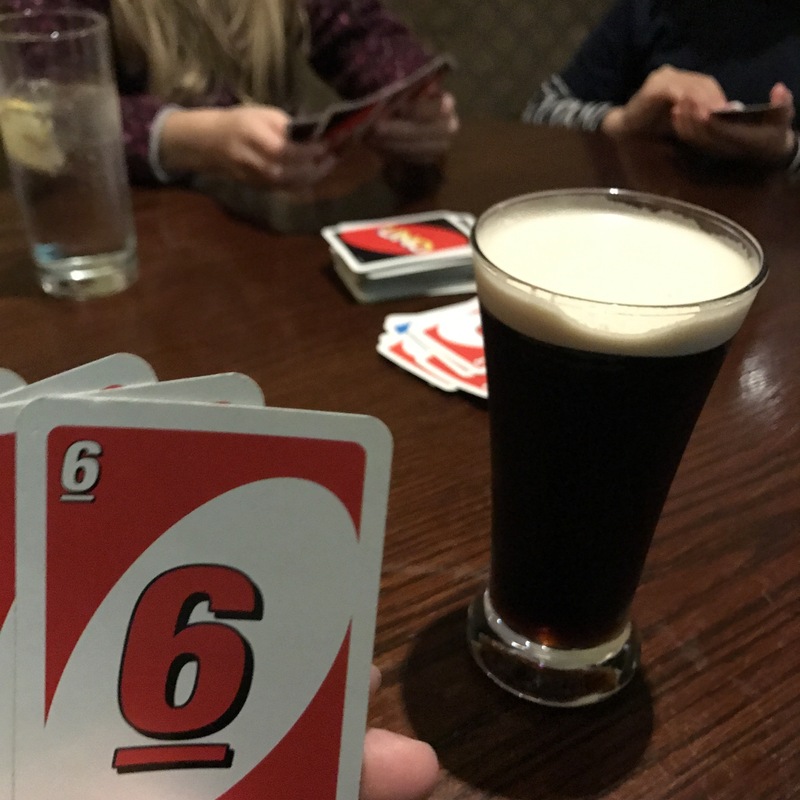 After a fast paced walk back to warm up, we drove back to Malin and we enjoyed a Guiness (with a dash of blackcurrant, the only way I can enjoy a Guiness) and games with the kids, its unbelieveabe how competitive we can all be. New favourite game dobble, well lets just say the kids showed me up, and I wasn’t even trying to let them win, more practice needed. We made our way back to the house for the evening. Saturday night, Chris made chilli for burritos and tacos, not your typical Irish dinner. Storm Brian had descended to Donegal so there was no way I was journeying out into the windy night to get into the hot tub. Wine by the aga is much nicer, not to mention the chat all night was so good. I went to bed on Saturday night and realised I had hardly looked at my phone, now that is detox, not only when you know you shouldn’t look at your phone but you don’t even want to because you’re having such a great time. We woke up on Sunday morning had breakfast, tidied the house ad although the others made their way to the beach we went to mummy’s house for Sunday lunch, there is no greater treat than someone cooking for you, especially on a lazy Sunday. We popped Piper into the car and drove home for a relaxing afternoon in the house. I started writing this blog post while Chris unpacked the car, I think I played a good card there. This really was weekend bliss, fresh air really is good for the soul. Until next year Donegal!